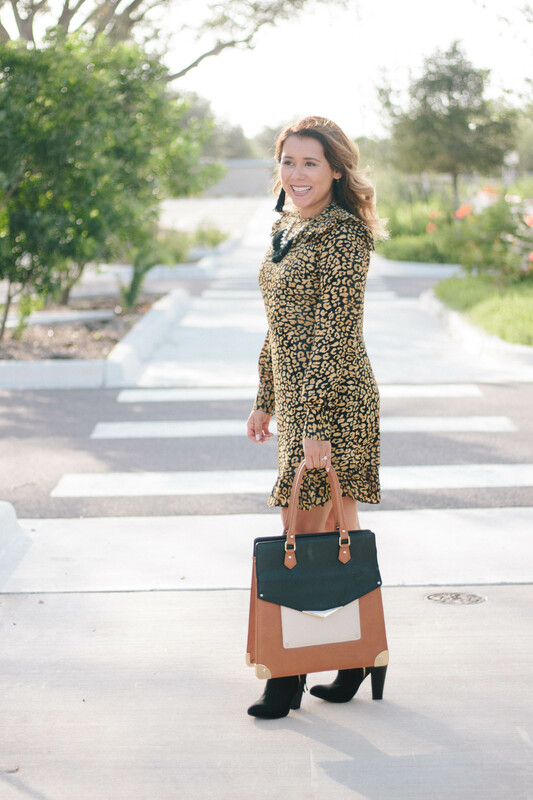 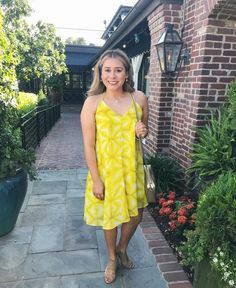 One of my favorite Fall trends this year is hands down cheetah print and although I am patiently waiting for cooler weather, I couldn’t wait to share this cheetah fall dress look with you! 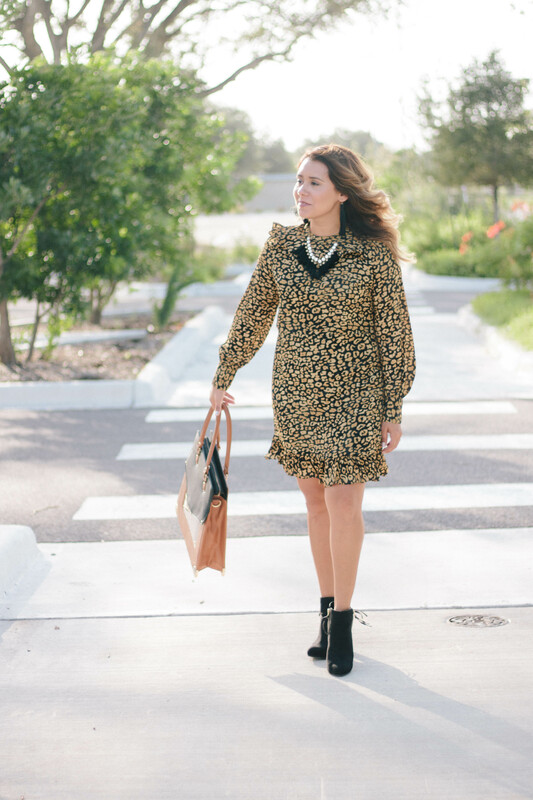 I love the ruffles on this dress that can be found at the bottom and on top, but what I LOVE most is the affordable price of this cheetah dress! 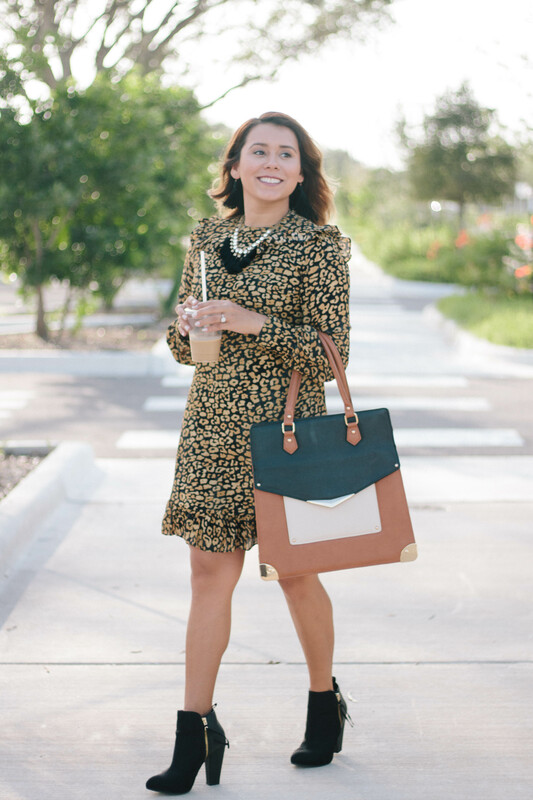 As soon as the temperature starts dropping in South Texas, I see myself adding my OTK boots and layering this cute cheetah dress with a red scarf! 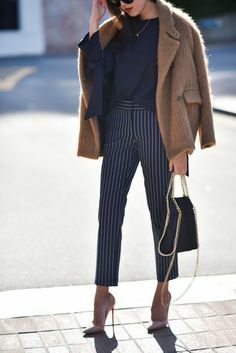 I have so many ideas with re-wearing this outfit throughout Fall, I can’t wait to share! 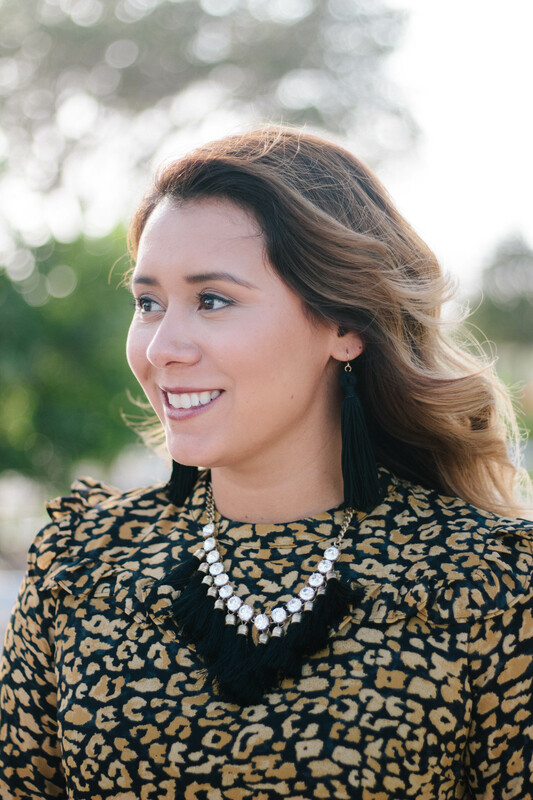 Another reason why I love this cheetah print, is because I don’t think this print ever goes out of season. 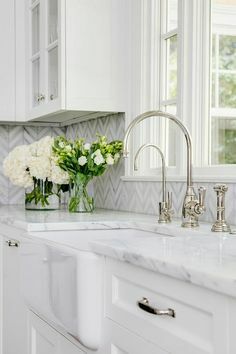 The color is neutral and easy to pair up with other items in your closet. 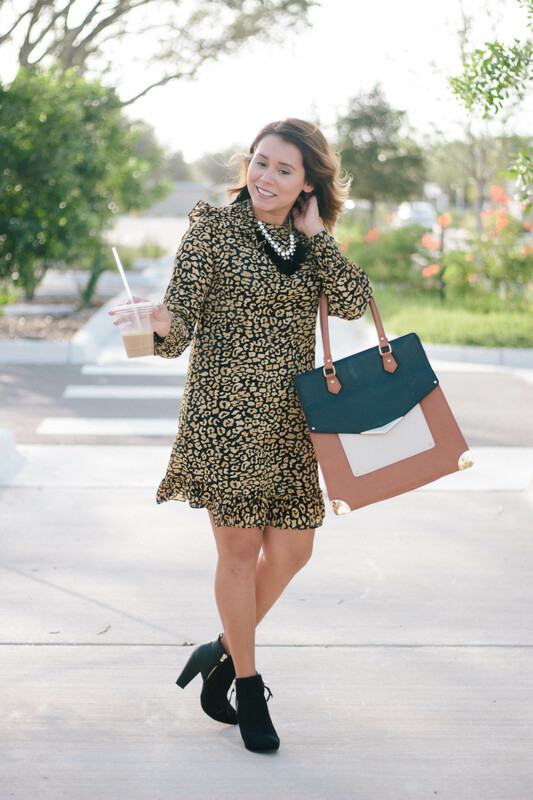 Also,the length of this cheetah dress is perfect for different seasons and occasions! 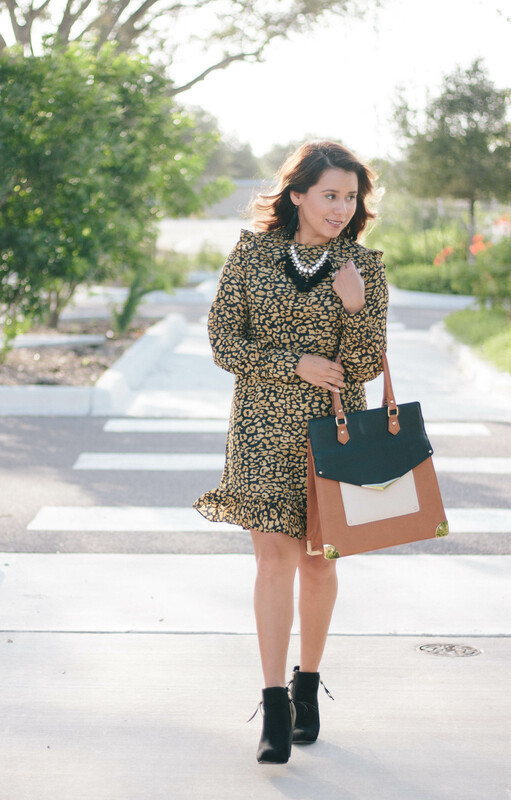 What cheetah print item do you have your eye on right now?